Rockstar Games is currently working on Red Dead Redemption 2, one of the most anti cipated title that was scheduled for release later this year. However, the title was pushed until early next year by the developers and most of the fans are unhappy with the decision. 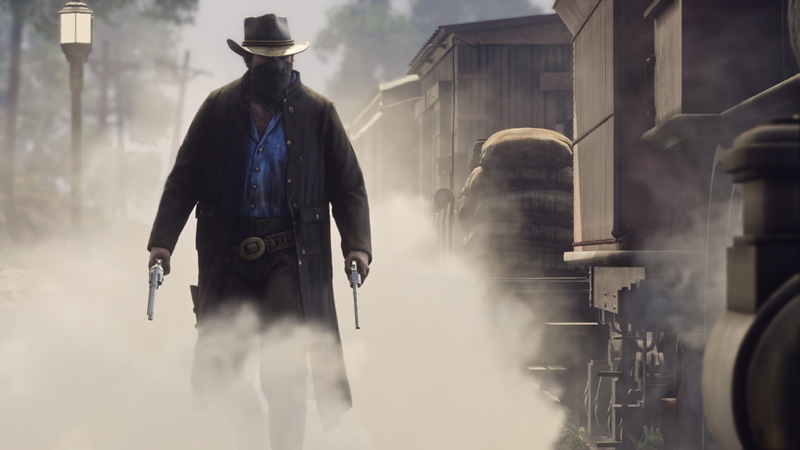 But some game developing studios are happy with the delay and according to them, there is a bit of opportunity for them following the Red Dead Redemption 2 delay. First, Ubisoft reported that they are happy with the delay as it is a positive sign for their fiscal year and now CFO of EA believes that the delay provides some piece of opportunity for them and other game publishers. While the CFO also noted that big games such as Red Dead Redemption 2 are the titles that helps gaming industry to grow. Here’s his statement from the company’s recent earning call. What we’ve found historically, we’ve had many times where we’ve gone into quarters that looked daunting because of the competition. Think back to [Grand Theft Auto V] when it came out, and what we actually found is it grows the overall market. It drives console sales. Oftentimes, many of those titles get bundled to help drive or reduce the price of a console for the consumer, and it drives excitement in the marketplace, and we like that. It benefits the consumer and it benefits us because it generates a lot of buzz around games. Furthermore, he said that the delay excites the studio since the title was planned for release during the company’s third quarter (and fourth quarter according to the calendar year) but the delay results in available options for them and other studios as well. Red Dead Redemption 2 is a sequel to the famous action-adventure title, currently under development and is slated for release sometime during ‘early 2018’ for current-gen consoles. Just like the previous installment in the series, the sequel is not confirmed for PC audience. Stay tuned for more updates!